I came across a great blog post on how Fractl, a digital marketing agency, used content marketing to increase its referral traffic by over 6,000 percent. In the blog post, Fractl discusses several lessons that they learned, which helped them achieve this success. These lessons apply to almost any business and can help game and tech companies grow. A mistake commonly made is creating a narrow focus for your campaign, implicitly limiting the reach. Content marketing, however, can be used in every stage of the customer journey. You also need to realize that one campaign will not impact every metric that you track but you need a diverse strategy to reach customers in different stages of their journey and thus impact more metrics. Viral campaigns. A campaign tangentially related to the brand that achieves a deep emotional reaction and thus encourages hockey stick levels of sharing and traffic. Conversion-driven campaigns. These are targeted to a specific audience that is ready or almost ready to monetize. Awareness campaigns. These are designed to increase exposure to the brand and attract and engage consumers who are at the top of the sales funnel. On-site content. he multipurpose content is designed to build the brand and engage with the target market. The key takeaway is that you should build your content roadmap so it touches potential users and existing customers at all parts of the customer journey. If you create a campaign focused on one niche goal, you are missing the broader opportunity. 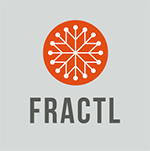 Fractl initially built campaigns that cast a wide net but they learned that sites that would republish their materials were primarily looking for exclusive research. They found data curation had moderate engagement while heavy research based campaigns have the highest engagement and syndication because they bring something new. This is relevant for even consumer facing games, if for example you bring new research into how people compete in casino games, it is more likely to be spread widely. In Fractl’s research, sites and other potential influencers wanted to see more data-driven articles, infographics, and mixed-media pieces, followed closely by data visualizations, images, videos, and interactive maps. They were less enthusiastic about Press releases, interactive projects, quizzes, flipbooks, widgets, and badges. While articles might do well with qualitative results, most of the other top-ranked content formats require a type of data visualization that is most valuable when it features quantifiable results. Fractl learned that there was limited value to being mentioned on other websites. Creating a white paper, eBook, list, or any other gated asset that adds value to your original research creates an incentive for people to go back to your website and continue engaging with your brand. By gating the asset, you enable your team to capture the contact’s information and further nurture them in your sales funnel. A related suggestion is for you to save at least a quarter of your findings and then feature it in your gated asset. Make it explicit in your content marketing that there is more information for people to learn about if they click through or go to your homepage. Content marketing can be a strong user acquisition and reactivation channel but it takes good planning. The key is to build your content marketing strategy around the full customer experience, not just narrowly targeting acquisition or conversion. If you create gated content, it can help capture leads and drive customers to your site. One of the biggest challenges in the game space, and the overall tech space, is project management. Many companies do not even expect to hit the dates they have set. This situation creates planning issues, cash flow problems and prompts investors to lose confidence. 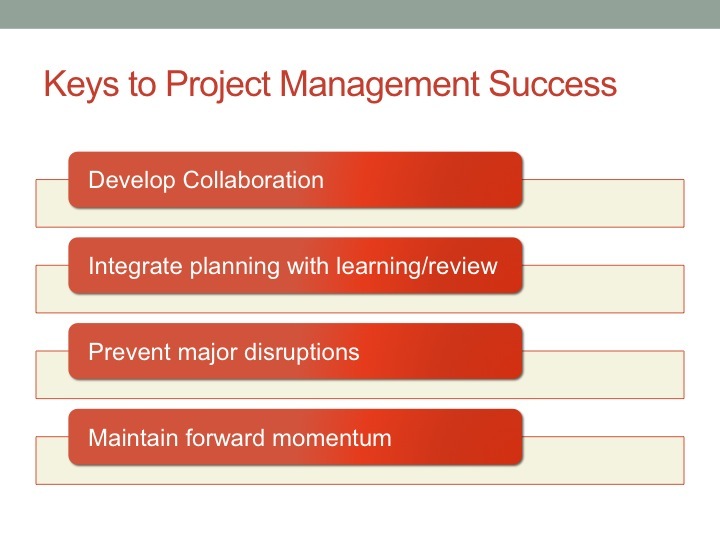 An article in the MIT Sloan Management Review, “What Successful Project Managers Do,” studied 150 successful projects and determined four key initiatives by project managers tied to success. 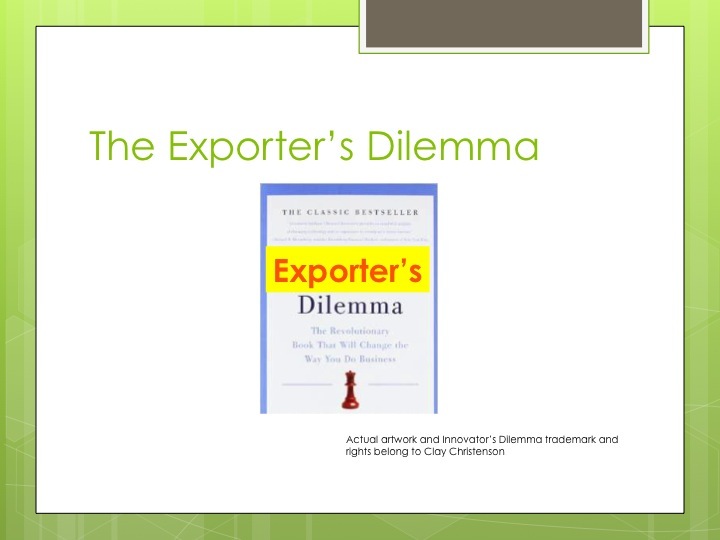 All three types of events can become problems that need to be addressed by a project manager. Since project progress depends on the contribution of individuals who represent different disciplines (e.g., art, design, programming) and are affiliated with diverse parties, collaboration is crucial for the early detection of problems as well as the quick development and smooth implementation of solutions. If one or several of the people involved in the project believes that project planning and contractual documents provide sufficient protection from unexpected problems, developing collaboration among all the parties may require creative and bold practices. Thus, it is important to select the right people for the project and develop mutual interdependence and trust. Project managers faced with unexpected events employ a “rolling wave” approach to planning. Recognizing that firm commitments cannot be made on the basis of volatile information, they create plans in waves as the project unfolds and information becomes more reliable. With their teams, they develop detailed short-term plans with firm commitments while also preparing tentative long-term plans with fewer details. To ensure that project milestones and objectives are met, these long-term plans include backup systems or surplus human resources. One key difference between the traditional planning approach, in which both short- and long-term plans are prepared in great detail, and the rolling wave approach becomes evident when implementation deviates from the plan. In the traditional planning approach, the project team attempts to answer the question: Why didn’t our performance yesterday conform to the original plan? In the rolling wave approach, project managers also attempt to answer the question: What can we learn from the performance data to improve the next cycle of planning? In particular, they attempt to learn from their mistakes—to prevent an unexpected event from recurring. The successful project manager develops stable short-term plans and flexible long term plans while conducting learning-based project reviews. Successful project managers never stop expecting surprises, even though they may effect major remedial changes only a few times during a project. They are constantly anticipating disruptions and maintaining the flexibility to respond proactively. The key is to anticipate and cope proactively with a few major problems. When unexpected events affect one task, many other interdependent tasks may also be quickly impacted. Thus, solving problems as soon as they emerge is vital for maintaining work progress. Also in many situations, corrective action is possible only during a brief window. In working to maintain a forward momentum, the manager seeks to avoid stalemates. A good project manager resolves problems by hands-on engagement, frequent face-to-face communication and moving about frequently. Although every project manager tries to minimize the frequency and negative impact of unexpected events, in today’s dynamic environment such events will still occur. Acknowledging the emergence of a problem is a necessary first step, allowing the project manager to respond quickly and effectively. Some organizations assume that almost all problems can be prevented if the project manager is competent enough—resulting in project managers who are hesitant to admit that they are facing an emerging problem. By assuming the four roles discussed in this article, the successful project managers we studied are both intention- and event-driven and embrace all three orientations. Developing collaboration requires them to be people-oriented. Integrating planning and review with learning requires them to be information-oriented. Preventing major disruptions requires them to be action-oriented. Finally, maintaining forward momentum, which is pursued throughout a project, requires them to adopt all three orientations. Senior managers must ensure that all three orientations are considered when selecting project managers and developing project management methodologies. Good project managers are critical for getting projects done on schedule. Effective project managers develop collaboration between different disciplines on their team, integrate planning with review and learning, focus on preventing major disruptions and maintain forward momentum. An effective leader will let their project managers respond quickly and effectively rather than create a culture of fear so problems are hidden. There was a great article in the Harvard Business Review, “The Truth About Customer Experience,” that shows more importantly than focusing on providing the customer with good discrete interactions you should focus on the entire journey. 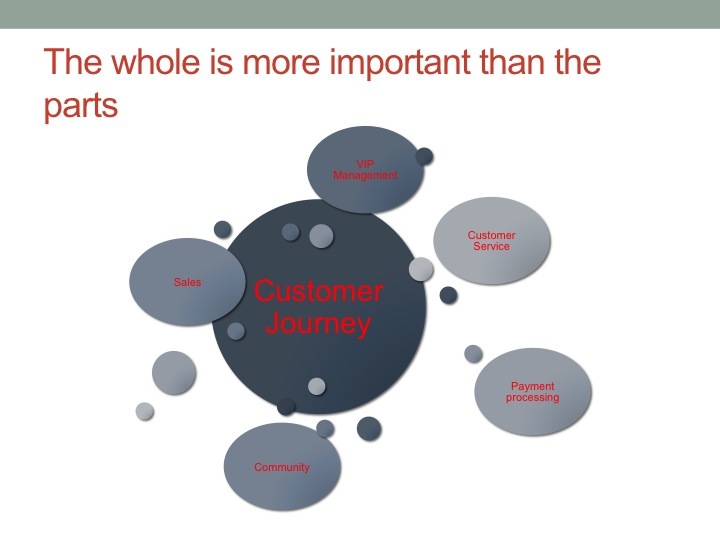 Interestingly, even if you have great metrics at each touch point (e.g., people are satisfied with onboarding, customer services call are resolved positively), overall customer satisfaction may be negative because of the holistic customer journey. The root of the problem is that many customer focused functions (sales, CS, community management) are siloed in different organizations that have individual and insular cultures. These groups shape how the company interacts with consumers but although they may aim to optimize their contributions they lose focus of the customers desires. Now that virtually every game company, and every tech company, understands and uses analytics in its operations, simply having strong analytics is no longer a competitive advantage. If everyone is doing the same thing, it becomes the cost of doing business. In the early days of social gaming, Zynga, Playdom and the other leaders built a huge advantage because they had great (at the time) analytics system and used the information to adjust their games based on player demands. Now, even the most traditional game companies (yes, I mean EA) are using analytics to optimize live games and third party providers allow even start-ups access to advanced analytics. I wanted to share with my friends and colleagues the most recent phase of my professional career. Last month I left Zynga and moved to Isle of Man to become Director of Social Gaming at Amaya’s Rational Group (PokerStars and Full Tilt Poker). At Rational, I will be leading and building the team responsible for replicating PokerStars’ success in the real money gaming world into social gaming. In addition to poker, where nobody can question Rational’s expertise, we see great opportunities in social casino, slots and social sportsbet (and, of course, some blue oceans). The opportunity was irresistible because of Rational’s focus on the player. It has grown to be the leading real-money gaming poker product (Rational was sold to Amaya last year for $4.9 billion) because of a laser focus on making their players’ happy. From my first interview, it was clear they were not interested in the short-term tricks that boost revenue but drive a wedge between the player and the company (all too prevalent in most social gaming companies) what is often referred to as bad profits, and instead creates value by creating the best player experience. This customer-centric philosophy has not yet been tried in the social space and I find it incredibly compelling. I am excited about what my team and I will be doing soon and will surely share my experiences on this blog with my colleagues.